Composed by Josef Rheinberg (1839-1901). Arranged by Stephen Rockey. Romantic Period, Sacred. Score, Set of Parts. 11 pages. Published by Stephen Rockey (S0.246347). 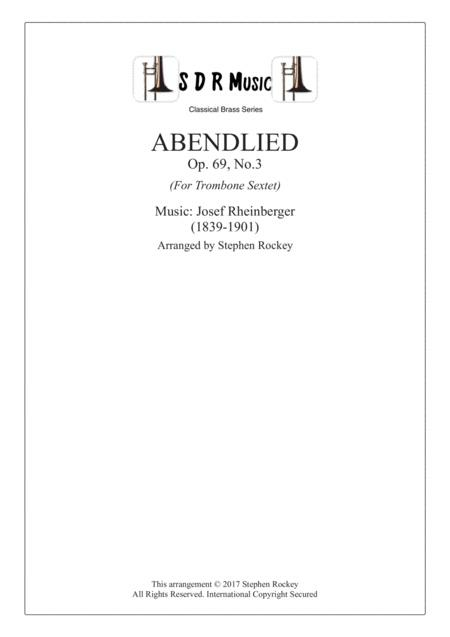 Rheinberger's Abendlied for Trombone Sextet. 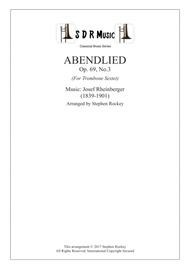 A beautiful choral piece arranged for trombones. This is aimed at the advanced player and takes great control to play. It is enjoyable and challenging to play, but well worth the effort. Will suite any church service or a quiet interlude to any brass concert.